This week I’ve finally got round to making a project bag to keep all my new sewing notions together. It’s taken a while to decide which pattern to use! 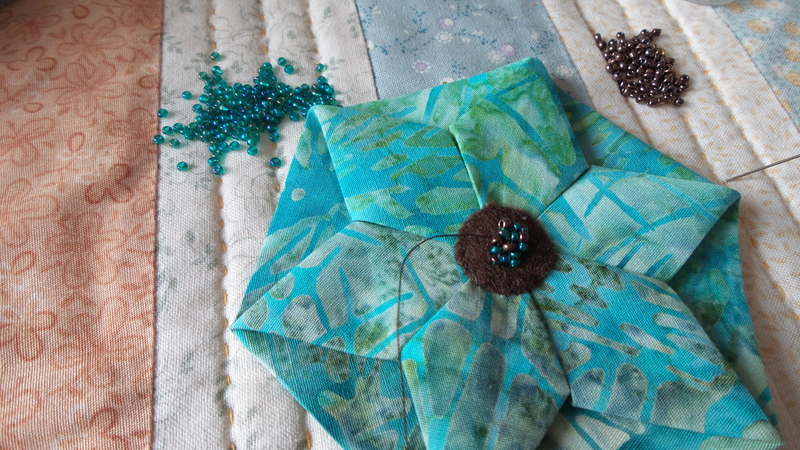 There are so many lovely bags to choose from but I finally settled on a komebukuro bag or Japanese rice bag which I thought would go well with the origami hexagons I wanted to incorporate into the design. I started by making four of the hexagons, I’m getting quite quick at these now! Decorated with beads just as before. I then appliquéd them onto the bag sides and I’m now quilting them with a bit of big stitch quilting using Pearl cotton thread so the stitches show up. 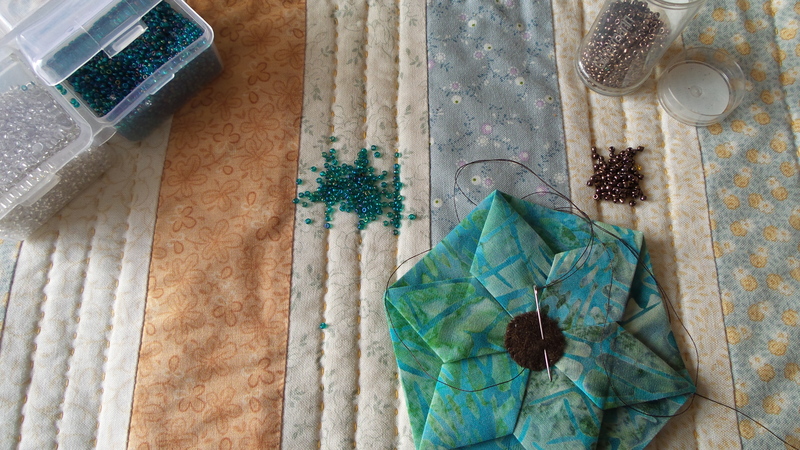 I think it needs a bit more quilting and then I shall put the pieces together. If you’d like to comment and/or ‘like’ this post, and I hope you do! – then just click on the post title and you will be taken to the comment page – look forward to hearing from you. Looks good so far. Love the hexies. Looks like we all had a great time stitching together. I love your hexagons, Chris. 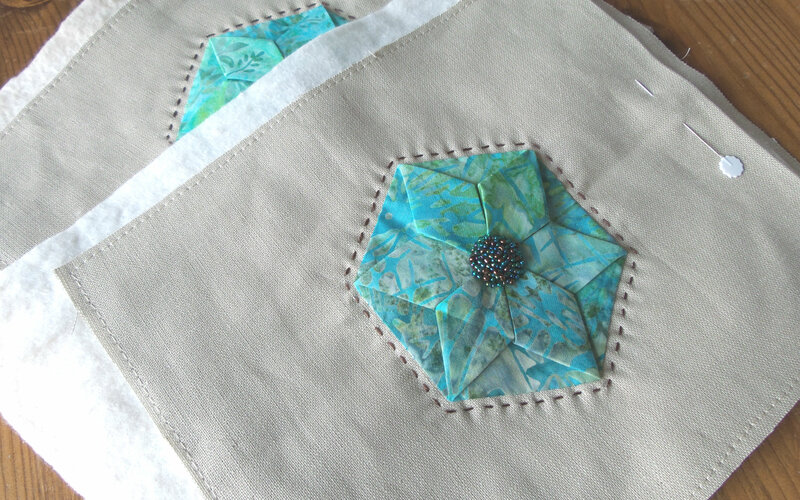 The beaded hexagons are beautiful Chris, you will have a very swish sewing bag by the time you are finished ! Beautiful hexies Chris, I love the addition of the beads in the middle of each of them 🙂 Barb. 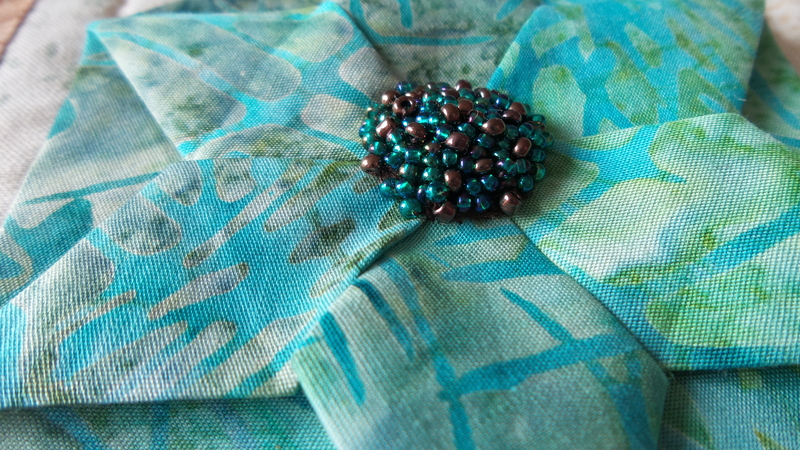 The bag is going to be gorgeous! 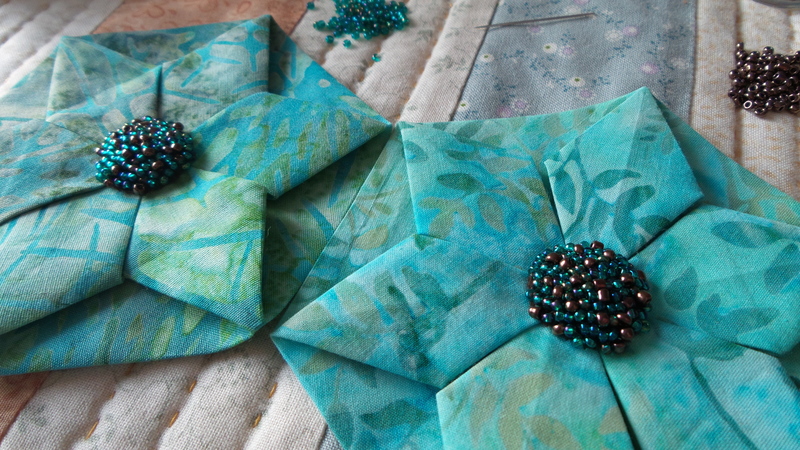 The beading looks great on the hexagons, and I love the big stitch quilting, too. Your bag is so pretty, Chris. The beaded hexagons really add to it. Oh how gorgeous – just stunning!